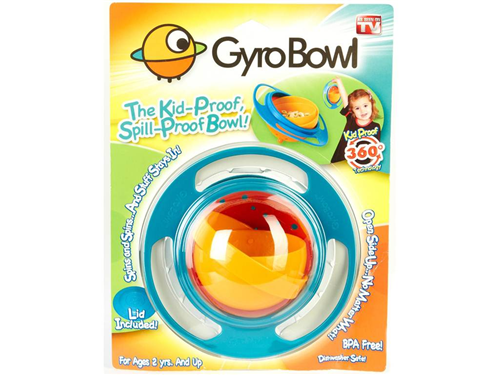 Gyro Bowl: The Kid-Proof, Spill-Proof Bowl – As Seen on TV. BPA-Free Plastic, Dishwasher Safe. Inner Bowl Rotates 360 Degrees. Virtually Indestructible. Blister Packed.